Creating an unprecedented, a first of its kind revolutionary ecosystem based on blockchain technology that will link newly developed crypto markets with the currently existing financial markets eliminating inefficiencies, while providing a one stop ecosystem that enables participants to perform and execute transactions according to their financial needs. This will construct a new pathway between the crypto and the current traditional market participants, enabling them to diversify their portfolio in an efficient and secure manner. The IC Ecosystem will be based on the blockchain technology and will utilize Smart Contracts to facilitate the execution of different contracts, while eradicating the need for intermediaries and external interferences that restrict investors from fully engaging in all markets. By adopting blockchain, we are creating a specialized ecosystem that will substantially increase customers’ confidence, market liquidity and most importantly provide efficient market pricing and access to funds for all variety of stakeholders. The IC Ecosystem will transform trades, settlements and payments and make them instant, bringing together different necessary components and cutting out third party intermediaries who usually delay the process and increase associated costs. 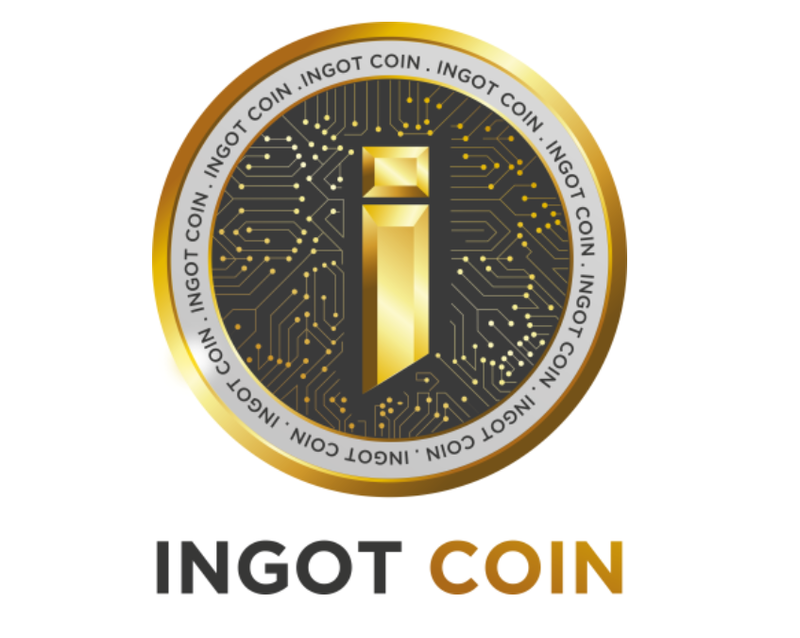 INGOT Coin will create a complete solution by integrating 6 core ecosystem components and providing a one stop shop for the digital asset, traditional asset and currency markets to solve all the above mentioned challenges, thus, creating a link between the crypto market and the traditional market. The IC Ecosystem will establish 6 different components to work hand in hand under one umbrella, providing all community members the chance to capitalize on upcoming opportunities in all markets. 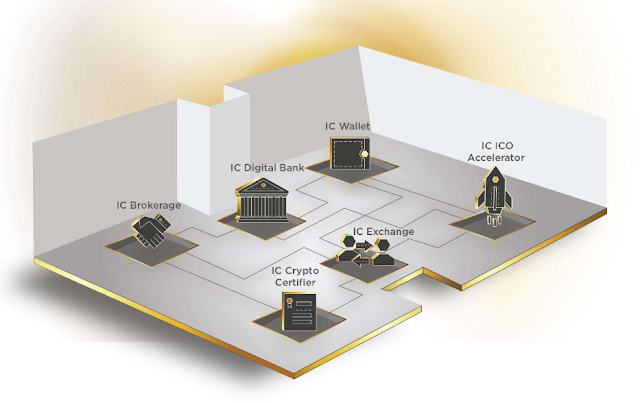 The Ecosystem’s components, as shown below, are the IC Wallet, IC Exchange, IC Brokerage, IC Digital Bank, IC Certifier and IC ICO Accelerator. IC Wallet: safeguarding the clients` digital assets, showing balances for crypto, fiat and traditional financial instruments. IC ICO Accelerator: listing successful ICOs on the exchange at a discount. IC Brokerage: performing the actual exchange between crypto/ fiatagainst traditional financial instruments. All participants will have actual accessible accounts in the Exchange, Brokerage, and Digital Bank in addition to their Wallet by completing a single KYC form. The Ecosystem will provide an environment for trading crypto/fiat pairs faster and cheaper than all currently existing platforms. Given that the IC Bank and IC Exchange are connected to the same network, transactions are all processed internally. The figure above demonstrates a crypto/fiat transaction where Steve wishes to exchange his crypto for fiat, Laura wishes to buy crypto using fiat. Steve places a USD/IC buy order through his IC Wallet interface which instantly places an order on the IC Exchange order book after transfer of their coins to the IC Exchange custodial wallet. 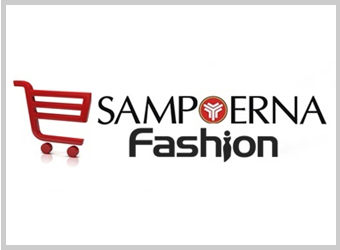 Once the order is matched, the user’s IC Bank account is deposited with the proceeds of the sale in USD. Laura places a IC/USD buy order through his IC Digital Bank interface which immediately places an order on the IC Exchange order books, a temporary hold on the order amount is placed on the fiat funds in the user’s IC Bank account. Once the order is matched the recently purchased cryptocurrencies are deposited directly into the user’s IC Wallet according to the smart contract and the previously held fiat funds for the amount of the transaction in the buyer’s IC Bank account are transferred to the seller’s IC Bank account instantly as an internal transfer. Given that the exchange and the bank are under the same umbrella, the system is able to perform deposits first and settlements second in the back offices, it is just as easy as an internal transfer.